The hood, they say, does not always make the monk. But in cases when it actually does and you need to get the real feel of the monk what do you do? How do you get resistant, hesitant or reticent stakeholders to share desired feedback on a project that requires continual engagements with them? Organize instead of agonize: Difficult stakeholders often push back at attempts to nick at their comfort zones. But if their place in the feedback loop is not negotiable, then so should the resolve to get them to deliver. Answers to these questions are helpful: What is the cost-benefit analysis for their participation or non-participation in the project? How do you hype the benefits and downplay the costs? Are there soft spots to latch on to? How do you create an adequate sense of ownership/belonging to incentivize participation? On the ConsTrack project, we could not afford to throw our arms up in the air in response to brick walls encountered. We organized around informal relationships and called on friendly legislators to participate actively in planning/strategy meetings. We made them champions of the project and through them, enlisted new converts to our cause. We were also careful to couch communication and messaging along the lines of benefits for legislators rather than focusing only on exposing their alleged corruption. Politicians love to look good in the eyes of the public and when you give them such carrots, they would balk at your sticks with caution. Don’t antagonize resistance: Even when your efforts at courting a difficult stakeholder seem unfruitful, it is not advisable to take antagonizing positions. For your advocacy to succeed (in terms of impacting all targeted stakeholders in a positive and sustained sense) you must keep striving to secure buy-in. Even though we could easily tilt the scale of public pressure against an uncooperative legislature, we choose to be relentless in engaging till a critical mass of support was secured. It does not help a cause to antagonize those whose inputs are needed. Return the favour: It is necessary to amplify stories of successful engagements. When peers see their colleagues enjoy benefits of participation, they come asking to be enlisted. By giving legislators space to share stories of positive interventions in constituency projects, the ConsTrack project invariably engenders broader buy-in from public officials who are wont to stay opaque. While there is no straight jacket formula for engaging with stakeholders and getting useful feedbacks, it is important to know what works within a given context and build the right strategies into the overall vision ab initio. 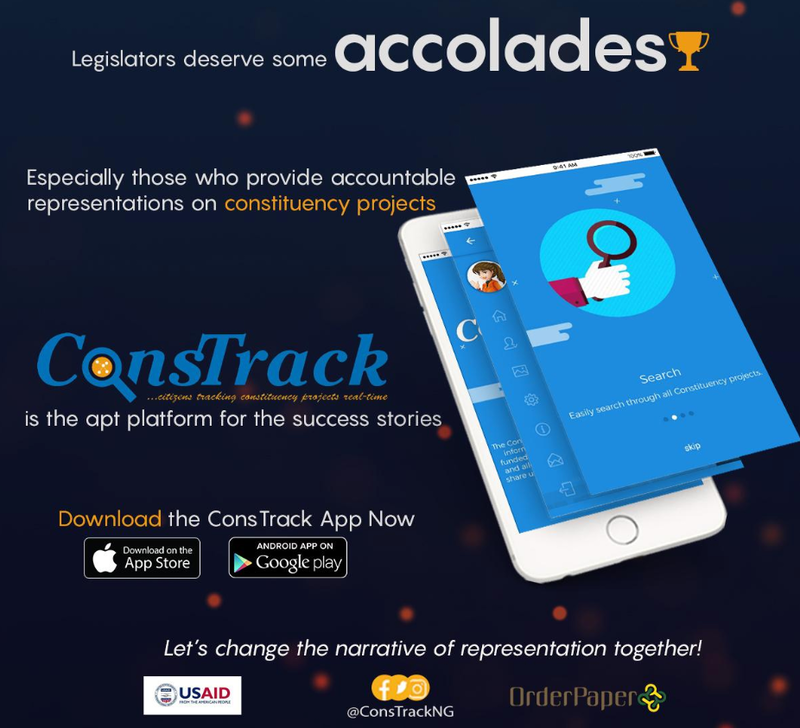 We envisioned the ConsTrack app as both a platform for citizen engagement and for legislators to tell success stories on constituency projects and have tried to communicate accordingly from design through development and deployment. Oke Epia has about two decades of work experience in the private and public sectors majoring in journalism, communications, development and social entrepreneurship. A period of work as Senior Advisor in the National Assembly of Nigeria offered tremendous insights that led him to found OrderPaper Nigeria, the country’s premier parliament-focused media and advocacy organization. 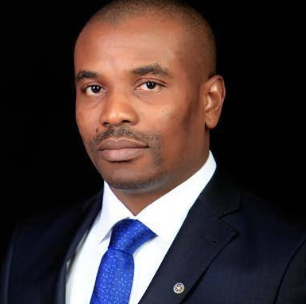 He led the team that created the ConsTrack mobile app, a tech-for-development tool that is helping to catalyze a citizen-centric narrative on anti-corruption, inclusion and good governance in Nigeria.